The European Union Action against Drugs and Organised Crime (EU-ACT) project is funded by the European Union and managed by FIIAPP. It is run in five regions that cover what has been called the “Heroin Route”, though in reality there is more than one route involved. Ukraine is the priority country in the Eastern European region. The aim of the EU-ACT project in Ukraine is to promote an all-encompassing approach to the problem of drugs: to support the work of the institutions responsible for strengthening law enforcement while favouring demand control. Accordingly, the scope of work of EU-ACT covers different sectors of the Ukrainian Public Administration and civil society. A fact easily attested to by simply pointing to the “registered” beneficiaries before the Government of Ukraine: The Ministry of Health, the Drug Observatory, the Medication and Drug Control Service, the State Tax Service, the Ministry of the Interior and within this the Border Service and the National Police of Ukraine, the Public Prosecutor’s Office, the Ukraine Administration of Justice Service, the Ministry of Justice, the Prison Service and the Financial Intelligence Unit of Ukraine. Support for the Ukraine National Drug Strategy (2013-2020) and the Action Plan (2018-2020) that develops this strategy in which the EU-ACT project has participated in the design phase highlighting, among other activities, support for the participation of the Ukrainian Delegation in the Commission on Narcotic Drugs of the United Nations Office on Drugs and Crime ( UNODC ), both at the 61st session (2018) and the 62nd session (2019). Moreover, continuous advice and support has been given in all those legal initiatives related to drug policy. In this regard, the following measures are particularly worthy of mention: regulation of the use of Naloxone to avoid deaths by overdose, the decriminalisation of the possession of small quantities of drugs for self-consumption, the extending of the powers of the Ukraine Drug Observatory and the establishment of alternative measures to prison for minor offences related to drug use. Furthermore, the project also participates in the initiative and the development of the National Rehabilitation Programme for prisoners with mental and behavioural disorders caused by the consumption of psychoactive substances. This activity is developed in collaboration with the Ukraine Prison Service. In addition, backing is being given to the creation of an Investigation Coordination Centre for crimes related to drug trafficking between the different Ukraine police agencies, which represents a first step in implementing an intelligence model in the Ukraine that will allow policy makers to make evidence-based decisions. To this end, the best practice or model to be followed has been chosen: the Centre for Intelligence against Terrorism and Organised Crime (CITCO) which is attached to the Spanish Ministry of the Interior. On the initiative of the Ukrainian Public Prosecutor’s Office and with the support of the Ukraine Regional Office, the EU-ACT project launched the Network of Black Sea Public Prosecutors in September 2018 in the city of Odessa (Ukraine), which has already brought together public prosecutors from Moldova, Romania, Bulgaria, Georgia, Armenia, Iran and Ukraine. The EU-ACT project also supports the integration of Ukrainian administrations into European Union institutions, as well as other supranational organisations. These include the European Monitoring Centre for Drugs and Drug Addictions (EMCDAA), the European Network of Forensic Science Institutes (ENFSI) or the Paris Pact Initiative (PPI). With respect to the fight against the illegal trafficking of psychoactive substances, criminal organisation leaders are being deprived of the gains obtained from their criminal activity as this is the only way to obtain a relevant and prolonged impact against this activity. The EU-ACT Regional Office together with the Ukraine Intelligence Unit and all the agencies responsible for strengthening the enforcement of the law of Ukraine is developing a method adapted to the country to carry out financial investigations in parallel to the traditional ones in this area. One of the objectives of EU-ACT is to strengthen the inter- and intra–regional cooperation of the countries in which the project is carried out, thus backing the joint investigation work of Ukrainian police forces and prosecutors with other countries, while at the same time encouraging the exchange of experts between countries, both under the project itself and within the context of the CEPOL programme. 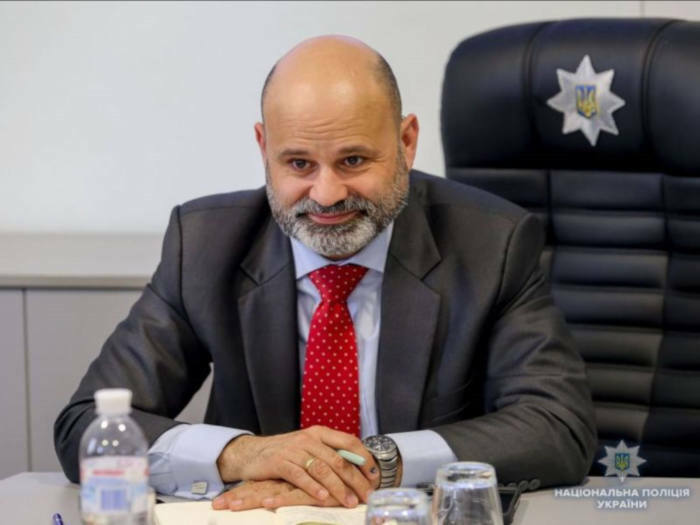 Lastly, and following the Spanish National Plan on Drugs model, it is in the process of creating a special fund in the Ukraine for goods confiscated on the back of drug-trafficking related crime.